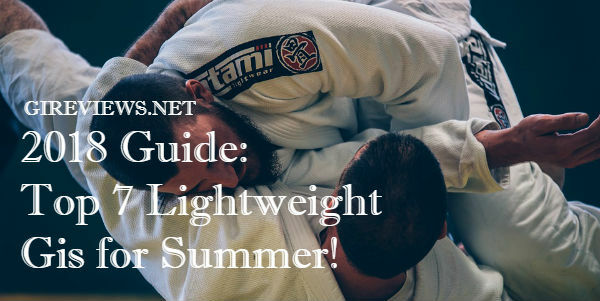 I’ve been trying to get ahold of a gi from Ground Game Poland ever since I first saw their brand over a year ago. 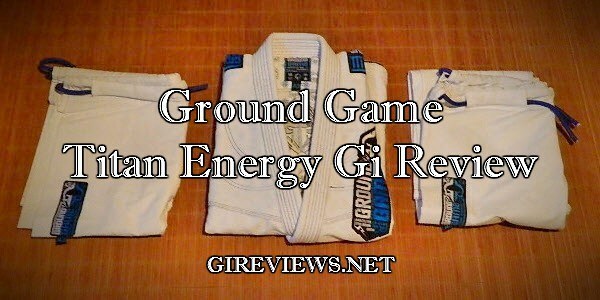 I’m incredibly happy to be able to present a review of their first global offering, the Ground Game Titan Energy gi. Based out of Poland, Ground Game has done a bunch of things right for their first release and could easily become a mainstay brand with regard to quality and bang for your buck. The Ground Game Titan comes with a solid pearl weave jacket and two pairs of pants. 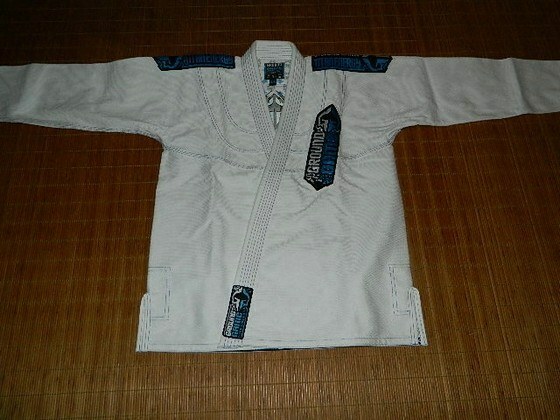 The interior printing adds a nice touch and the gi holds a solid theme throughout. The design is clean and bold and the embroidery and patches are top notch. 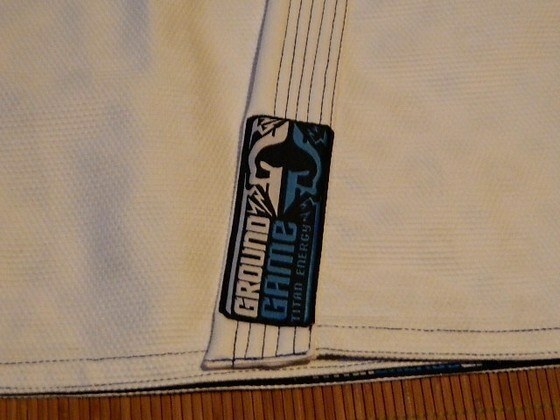 (Update: We’ve published a review of another Ground Game gi. It’s called Balance, and you can read the review here). I am 6’1 and around 200-210lbs. and typically wear an A2T or A3 gi. 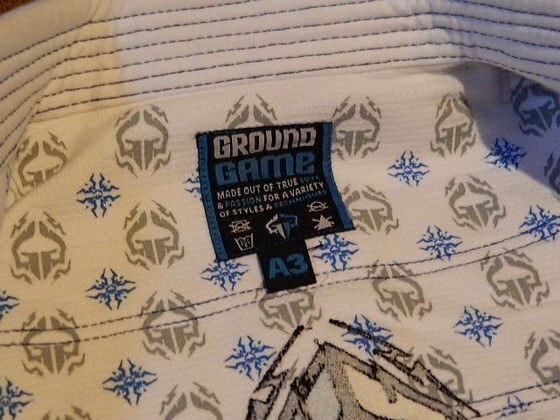 The Ground Game Titan A3 gi actually had an interesting cut that I have not run into in previous gis. For me, the chest and upper back are a bit more tight than the midsection. The pants fit fairly standard for an A3 with a little bit of tightness in the crotch (the front inseam is a bit lower than I’ve found on other gis). 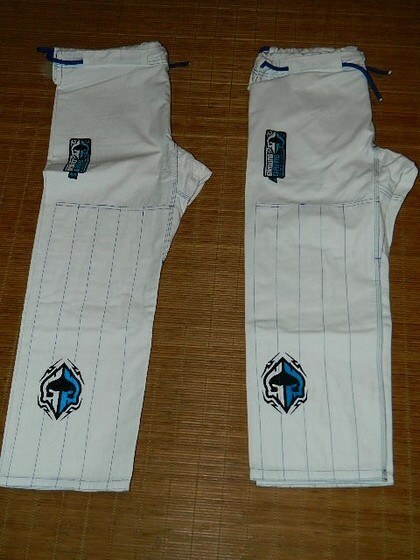 While it isn’t my personal style, I really appreciate the design work on the Ground Game Titan gi. 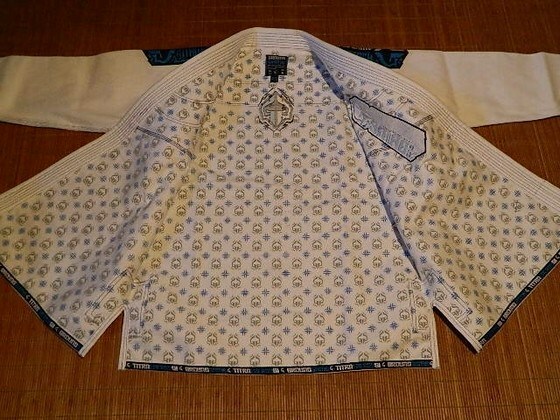 The contrast stitching, patches, embroidery, and interior printing all contribute to an overall theme. 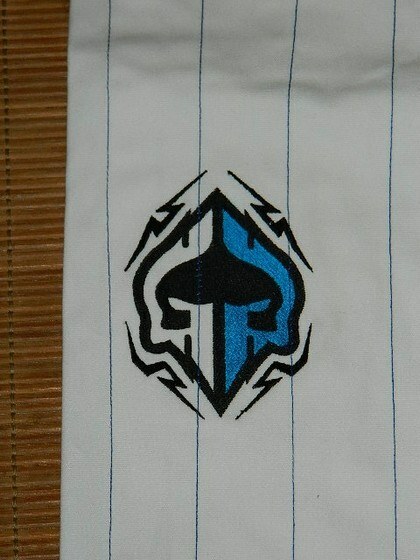 I particularly like their ‘GG’ logo that almost looks like a mask or helmet and definitely lends itself to a Norse Titan type of feel. 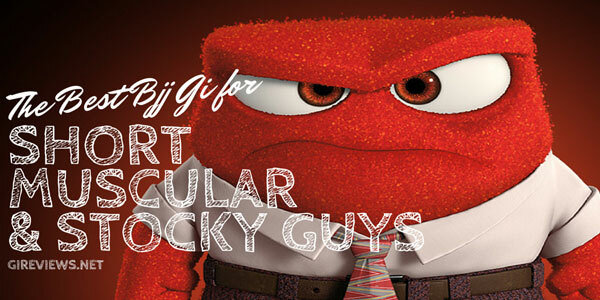 Combined with the small lightning bolts around it, the gi really does convey a titanic ‘Energy’ feel. The 550gsm pearl weave jacket is sturdy but not heavy. Although the fit is a bit different than what I’ve worn before, it seems to fit fairly well overall. The armpits and side vents are both thoroughly reinforced. The jacket cuffs are reinforced with the same fabric as the cotton pants (not ripstop) and are nice and soft after a few wears and washes. The best part of this offering from Ground Game are the trousers. 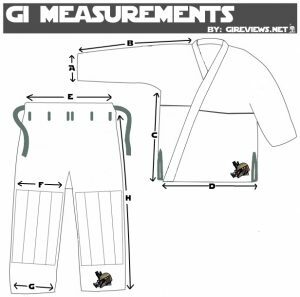 The gi comes with two pairs of trousers, both of which feature AWESOME belt loop systems, filly reinforced seams along the inside of the crotch and knee reinforcements that go all the way down to the ankle. 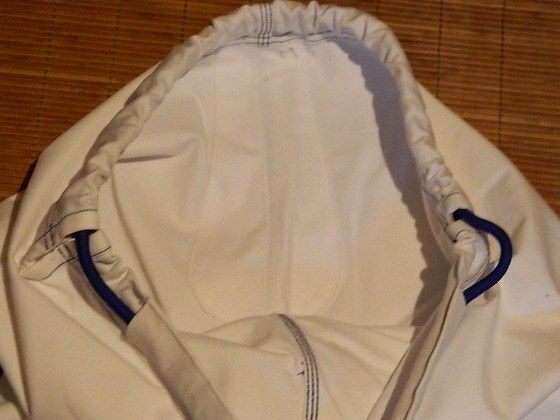 The belt loops come sealed and untied but can easily be tied into knots on the end if you prefer that. 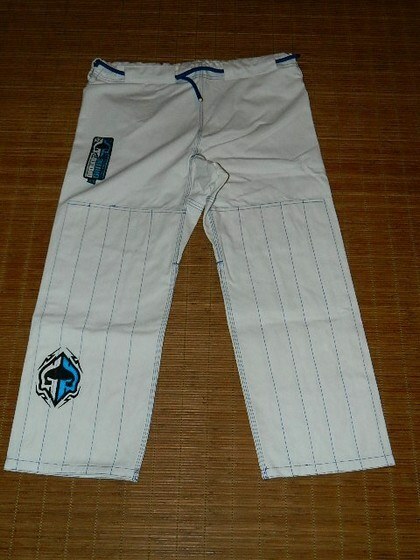 The cotton pants are no joke and will hold up for quite a long time in training and competition. In comparison, the ripstop pants are a bit lighter and should be perfect for hot weather training and competitions. 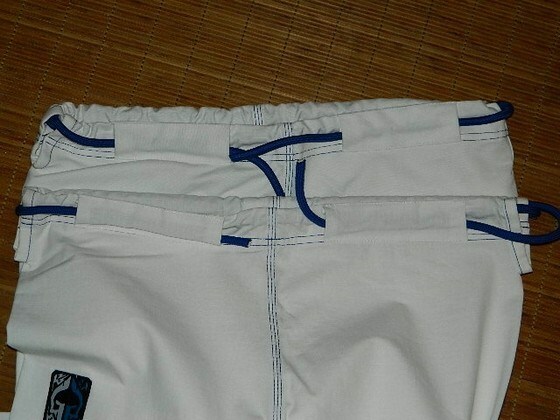 Initially, I thought the fit of the pants would affect training, but I didn’t notice any tightness at all. The jacket length was great and it stayed tucked in when I wanted it to and was easy to untuck for chokes and such. The cotton pants did get a bit heavy during the warmer training days but had I not been testing the gi, I would’ve definitely worn the lighter ripstop pants and had no issue at all. 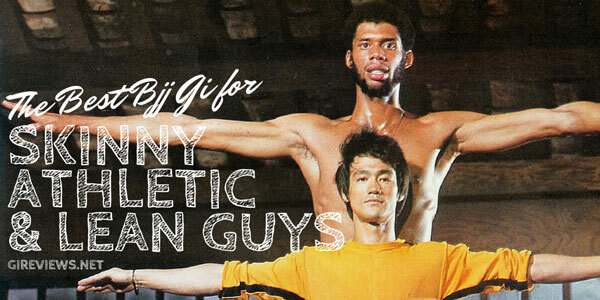 And if you can find it on BJJHQ, then you’ll get an absolutely amazing deal. 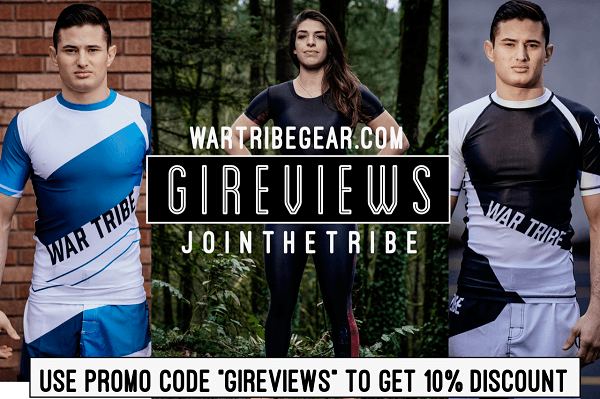 Overall, the gi is a solid mid-range gi that is a great bang for your buck.